Stories from the April 6, 2015 issue of the GW Hatchet. View a PDF version of this issue. 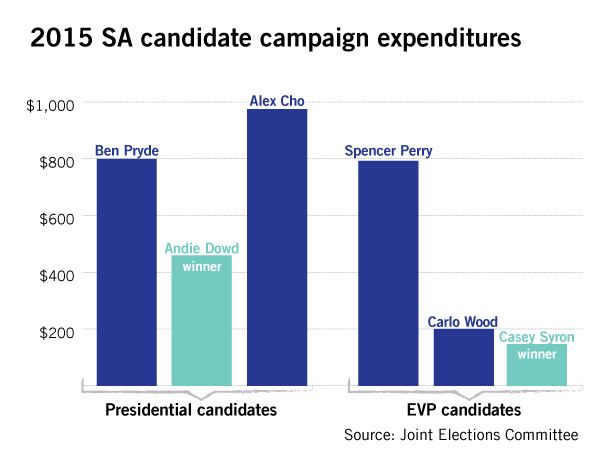 This year’s winners in the races for the Student Association’s top two posts show that victory and heavy campaign spending don’t always go hand in hand. 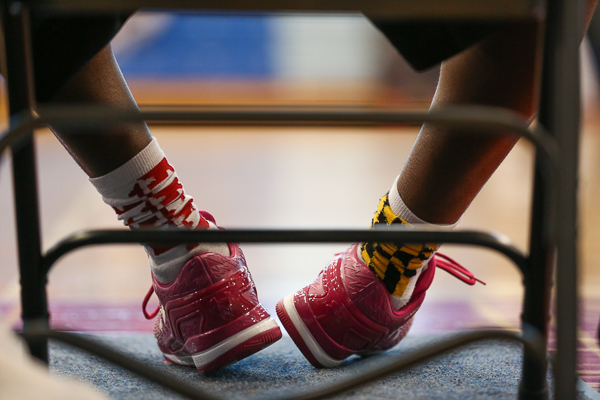 The big three – Georgetown, Maryland and Virginia – all went dancing this year as high seeds with high hopes. Across the board, colleges in the region, like GW, have had successful seasons in part because they have found a way to keep their talent local. From the outside, Greek life looks like a convoluted mess of foreign terminology and repetitive songs. For so long, I stubbornly harbored preconceived notions that clouded my understanding of Greek culture. All this talk is predicated on the idea that GW needs a large dining hall. Simply put, it doesn’t. It’s an unrealistic and unnecessary goal to strive for, and it’s time we give up on the idea. Here’s a sample of what happened around the bases and on the playing fields over the weekend. A former student is suing the University for $750,000, claiming she was injured after she was struck by a GW vehicle in 2012. 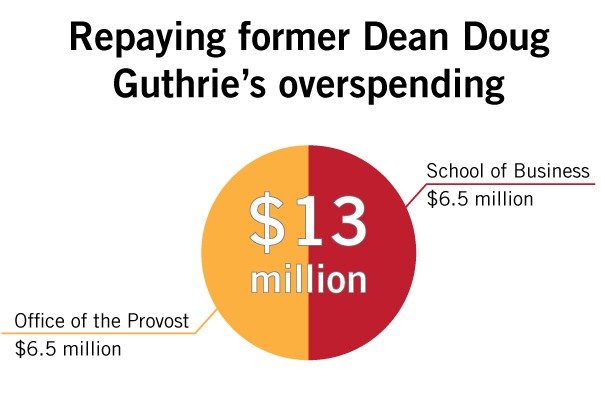 Officials have laid out an eight-year plan for the business school to pay back the roughly $13 million it owes the University – the first steps taken in two years to remedy the overspending that led to the firing of its former dean.